If you want to show a little modesty but have killer shoulders, take a page from the celebrities for your bridesmaid look! 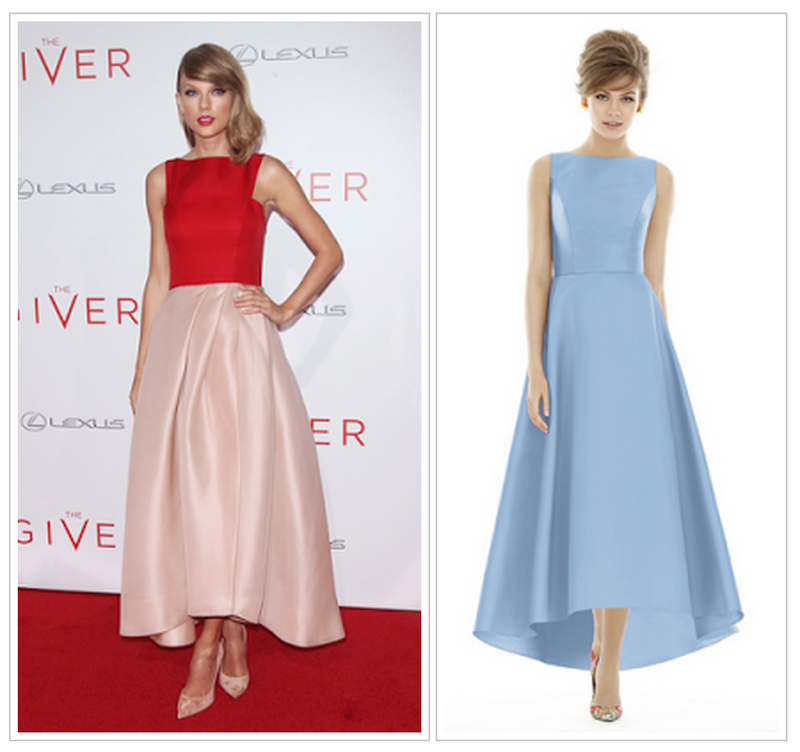 Taylor's ombre gown is the perfect classic halter cut. While the severe high low cut is a little high fashion, Alfred Sung's Style D696 brings it down to bridesmaid level. Not a fan of halter necklines? Try a bateau neckline that still cuts right at the shoulder with Alfred Sung Style D698. Allison shows how lace complements the higher neckline perfectly, and our designers have many options to choose from, including Watters Style 3223 and Dessy Social Bridesmaid Style 8154. Find the perfect dress for you by browsing our entire collection, including all Halter styles and Lace dresses!